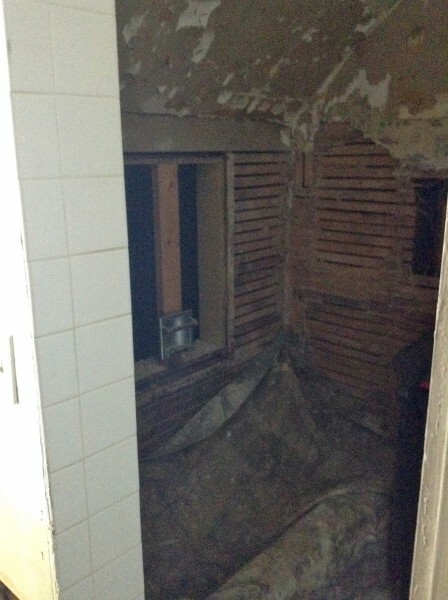 Remember how I mentioned a YEAR ago that we had some tiles fall out of our shower? And we just hung a shower curtain over the gap and lived with it? 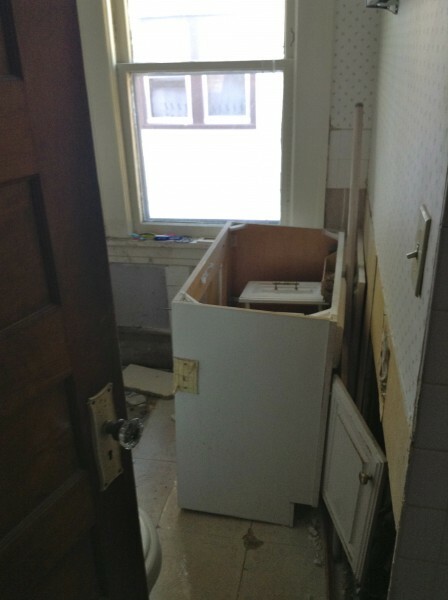 Thanks to several generous gifts from some of our family members, we are starting the bathroom reconstruction. Our ONE AND ONLY bathroom. The demolition phase is taking place while Rob is in the hospital, which will hopefully shield him from the worst of the dust and mold. Yes, I will have no shower for three weeks. No toilet for two days (we'll probably stay with a friend or rent a hotel room for that).